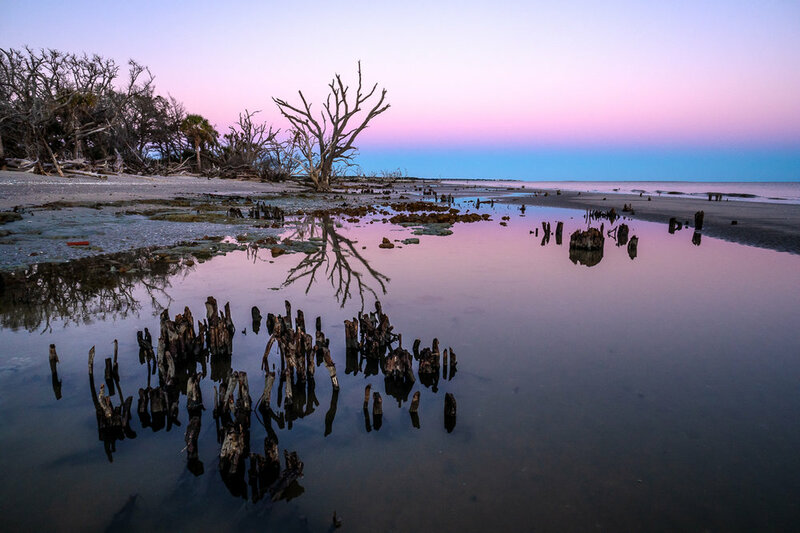 In early January, Paul and I decided to revisit one of our favorite locations to photograph: The Lowcountry of Charleston, SC and Savannah, GA. We last were here in March of 2017; it’s always nice to revisit areas you’ve been before and try out new things. This time, we brought our drone and made some new video footage! We only spent 3 and a half days or so, so we hit the ground running. Our first stop was downtown Charleston, for some of my favorite kind of photography: just walking around with a camera to be surprised by what you find. Downtown Charleston has a vibrance to it, and is colorful all year round. This is one of the best places to practice “details” photography and lifestyle vignettes. Everything is so perfect and inviting! The parks downtown are home to a few iconic fountains. Here’s a new perspective on the Pineapple fountain. Just for fun: check out how different our 35mm lenses are. The one on the left is a Voigtlander Nokton 35mm f/1.4, and the one on the right is a Sigma 35mm f/1.4. Both are the same focal length and open up to the same aperture, but one is much smaller than the other! The challenge for us would be to find brand new landscapes to photograph. 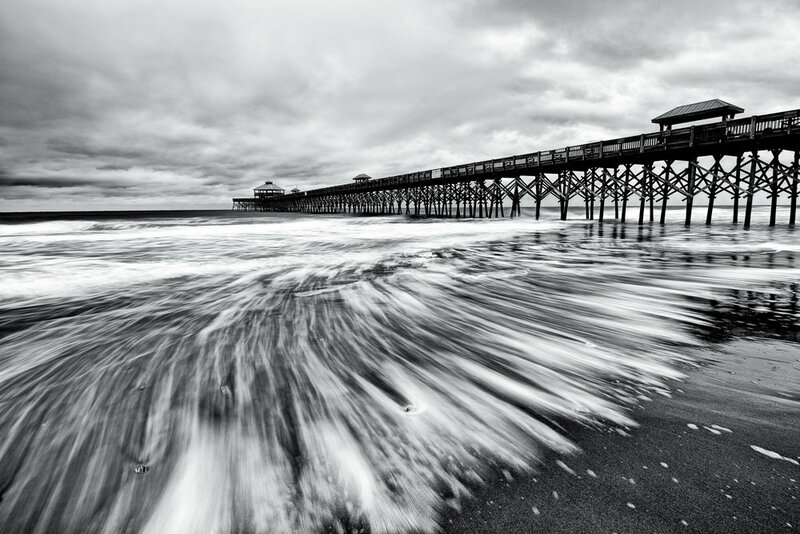 We spent a good deal of time shooting at Folly Beach and at the Folly Beach Park, looking for subjects other than the pier. We were happy with what we found! Personally, I was most excited to be able to use my brand new landscape lens. I had been using the Nikon 14-24 f/2.8 for some time - a fantastic night and landscape lens - but I wasn’t a fan of the sunstars it would create. I swapped it for the brand new Tamron 15-30 f/2.8 G2, and I am loving it. I can’t stop taking photos like this one of Majestic Oak in Savannah. If you visit here, make sure you bring along a telephoto lens, too. Some landscapes look best when the perspective is compressed, like this one, at Wormsloe Plantation. We also visited Botany Bay Plantation, which during our last visit, was closed due to wreckage from hurricanes. We found that many of the trees that were once the main subjects of amazing landscape images were now toppled. Nothing lasts forever, especially in nature. Despite that, we did find some other Live oaks on the beach that would make interesting compositions. It seems this area will always have something to offer photographers! We scouted this area again to help prepare for a 2020 Photo tour of the region, which we will be releasing in the coming months. 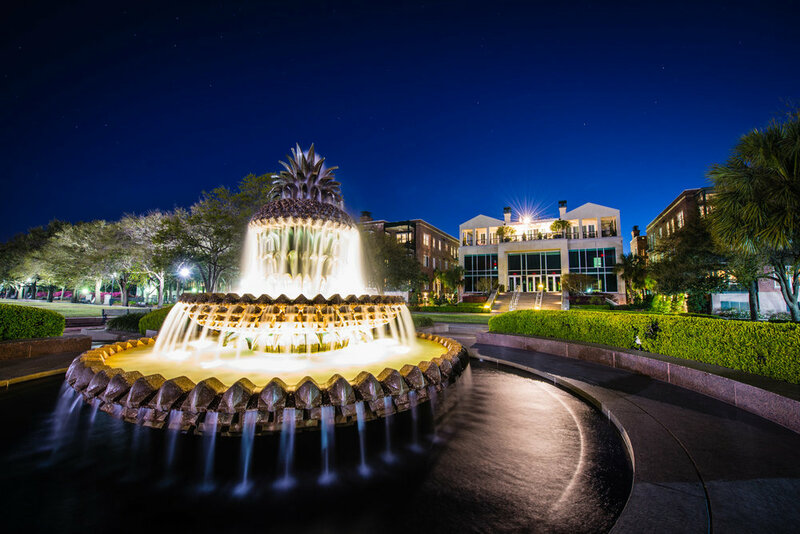 Charleston & Savannah are perfect destinations for photographers and families for a quick getaway, even in the winter months. Below are some of our photographs from previous years, so you can preview different looks you could potentially make with us, too.